This fall I’m joining Table for Two USA (TFT)’s “Change the World with Onigiri #OnigiriAction” campaign from October 1oth to November 20th. The campaign commemorates World Food Day, established in honor of the founding of the Food and Agriculture Organization by the UN in 1945. 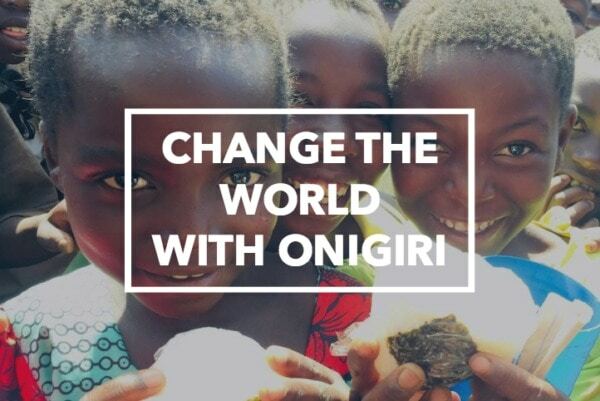 Onigiri Action aims to provide one million meals to children in need around the world. 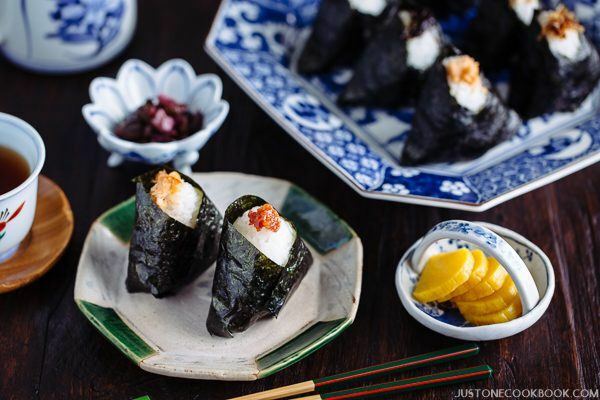 As an NPO with roots in Japan, the Table for Two USA campaign highlights onigiri (or Japanese rice balls) made from rice, one of Japan’s major agricultural products. In Japan, rice balls are a simple comfort food made for others with love. During the campaign, every photo of a rice ball posted on the Onigiri Action website or social media with #OnigiriAction will provide five meals to children in need. One Onigiri Photo Post Brings 5 School Meals! The onigiri picture below can bring 5 school meals to children in need. Yes, it’s that simple. Sponsor organizations will donate 5 school meals per photo submitted! In Africa, 25 cent donation can provide one school meal to a child. In the U.S., the same donation enables schools to provide school meals upgraded with fresh vegetables and fruits in low-income neighborhood school districts. Take pictures of your Onigiri preparation and enjoyment. You can take a picture of your Onigiri preparation to show off your cooking talent, OR snap a photo you eating Onigiri with your friends. You get to contribute to a good cause and let your creativity shines at the same time! Have fun making & eating Onigiri. 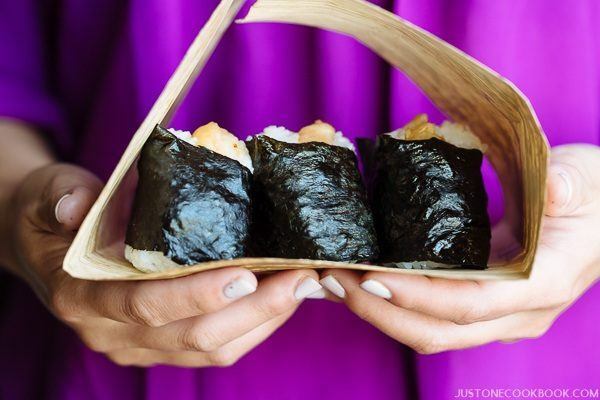 Let’s make a difference together #OnigiriAction! Last year, 160,425 onigiri photos were posted by people from all over the world, providing 975,000 warm school meals. Over 4,500 children were able to eat for an entire school year. I know I can count on the supportive and caring JOC community to make this campaign a success again. Together we can end childhood hunger by connecting kids to the healthy food they need, every day. Let’s join #OnigiriAction together for the great cause! To visit the campaign site, please visit here. For more information about the organization Table for Two, please visit their website. Stuffed with a variety of fillings and flavors, these Japanese rice balls make an ideal quick snack and are a fun alternative to sandwiches for lunch. 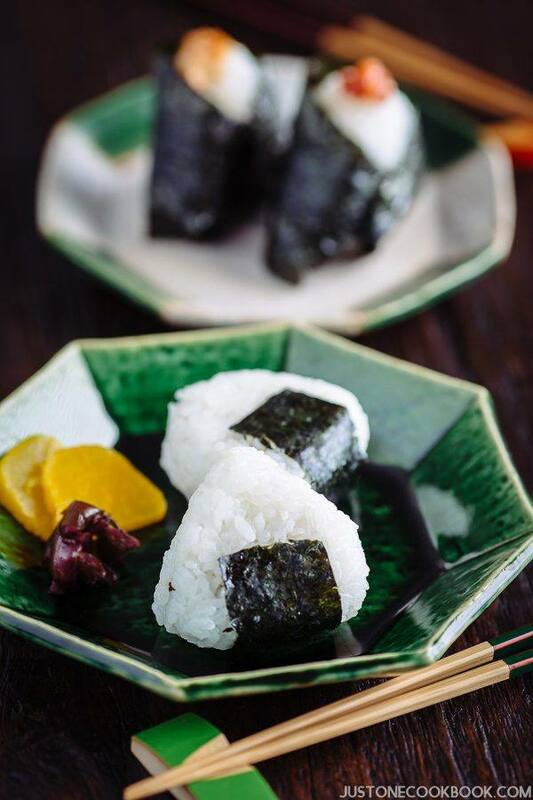 Click here to learn more about Onigiri and see the recipe with step-by-step pictures.